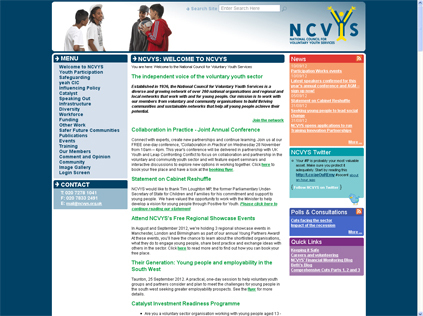 National Council for Voluntary Youth Services initially approached us with an outline specification having successfully procured funding for the development of an Enterprise Resource Planning (ERP) that would provide them with a replacement for the Client Relations Management (CRM) system as well as providing them with an on-line system that could manage the website and on-line communications. Although National Council for Voluntary Youth Services gave us a specification, we still took the time to challenge them and ensure the outcomes were based on their needs, rather than their wants and agreed the scope of the project prior to developing the system. Although the initial develop was completed three or four years ago we continue to support the system.